On 27 September 2017, the Committee of Ministers of the Council of Europe has adopted a landmark Recommendation on Gender Equality in the Audiovisual Sector. The recommendation was drafted by a wide range of international experts from funds and broadcasters in Council of Europe member states, with feedback from representatives of prominent industry bodies and academics. It is the first ever pan-European recommendation to acknowledge the problems inherent in the industry from a gender perspective, including: the lack of awareness of the prevalence of gender inequality; the conscious and unconscious gender bias at all levels and the unequal distribution of funding for audiovisual content among women and men; and to promote a variety of practical solutions to address these issues. It also contains a detailed series of monitoring methods and performance indicators to assist all sectors of the audiovisual industry in collecting data and taking coherent action on their findings. In addition, there is a handy list of reference tools for developing knowledge in this sector. Outreach events will be held to disseminate best practice and share know-how. 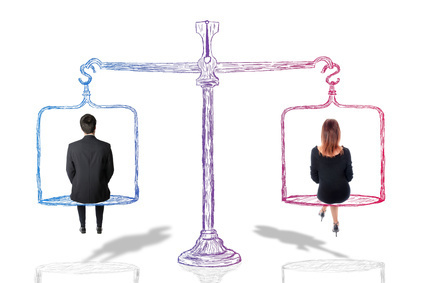 In autumn 2016, the EPRA Secretariat was invited by the Council of Europe to nominate an expert in the field of gender equality in the audiovisual sector who would attend two meetings of the Working Group for Gender Equality in the Audio-visual sector (CPP-ESA) and participate in the drafting of a Recommendation in this area. EPRA decided to nominate for this purpose Stephanie Comey, Senior Manager at the Broadcasting Authority of Ireland. Stephanie is leading the Sectoral (industry) training and development function in the BAI. She has been involved in a number of initiatives related to gender equality in the audio-visual sector in Ireland and she has a keen interest in the topic.